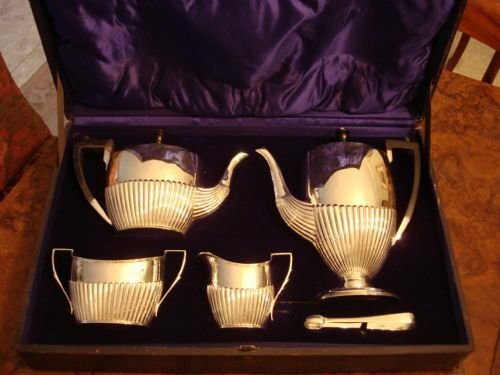 Rare antique solid silver boxed 5 piece Sheffield 1906 hallmarked complete tea and coffee service in the original fitted case, made by very collectable maker Harry Atkin. Fine quality Sheffield 1906 hallmarked English very unusual oval shaped antique tea and coffee silver service by Harry Atkin, famous and very collectable maker, contained in the original fitted storage and travel case. It includes both a silver coffee pot and a silver teapot with ebony handles and ebony and silver finials, a silver sugar bowl and milk jug with gilt lined interiors, and silver sugar tongs. The sugar tongs that are included are of the proper style and size, but are Georgian, hallmarked London 1797. 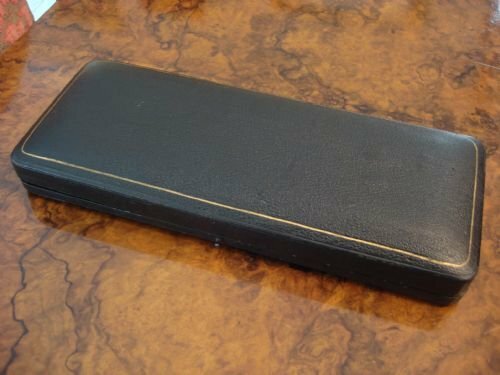 The case is wood with leather covering, and a cobalt blue velvet and satin interior, with a hidden push button catch. The vase shaped half fluted style of this service is very classic and will go with any period. 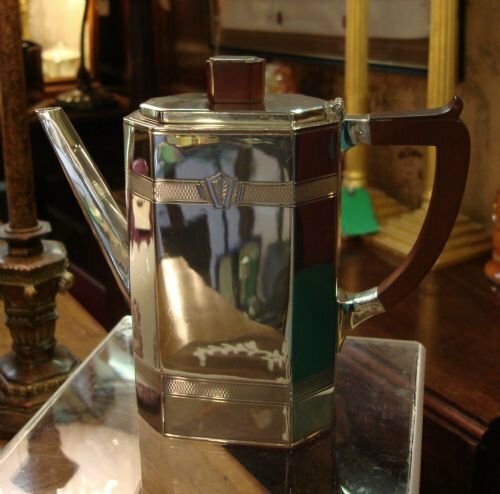 They have reeded edges, and the coffee pot stands on a stepped footed base. The fluted lids of the two pots have ebony vase shaped finials, that echo the shaped ebony handles. Size-coffee pot is 11 inches high by 9.75 inches wide (end of spout to end of handle). Milk jug is 4 7/8 inches wide by 4 inches high. Sugar bowl is 6.75 inches wide by 4 inches high. Teapot is 10.25 inches wide by 6.75 inches high. Tongs are 5.5 inches long. Case overall size is 21.75 inches wide by 14.5 inches deep by 5.5 inches high. Weight-silver only-a very generous 1560 grams or over 50 troy ounces. Weight with case for shipping-11 lbs. 3 oz. was meant for storage and travel, and has protected it very well over more than 100 years. This service is beautifully made, an excellent gauge and weight of silver, and in hardly used condition. A lovely and complete service for coffee and tea, complete with its own storage container. It would make a treasured gift or a present for yourself. If you plan to view or collect this item, please either email me at margi@serpentineinternational.com or ring me on 07810 752 292 prior to travelling, to verify its location and availability. All inventory may not be on display at this retail location. 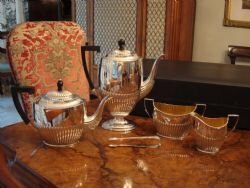 London 1813 wonderful Georgian period solid silver full sized tea service with grape vine decoration. is mainly obscured, but from what is visible, and from a similar set sold previously, it was likely made by Solomon Hougham, a very good London maker. The rest of the hallmarks are clear, and all three pieces have identical marks. 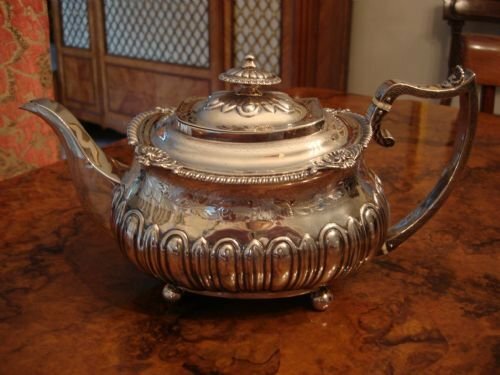 The teapot lid and silver handle have appropriate partial silver marks. The number 130 also is marked under the teapot. the band above the body fluting is a lovely and delicate bright cut engraving of grapes, leaves and grape vine. The top of the teapot and the handle are also delicately bright cut engraved with interlinked bands. All pieces stand on ball feet. 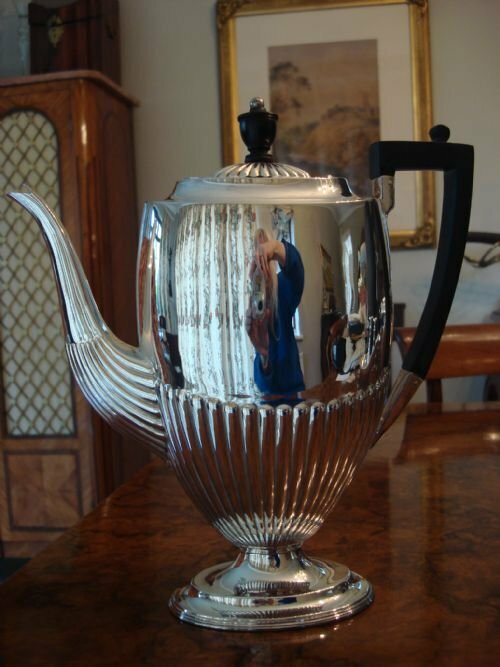 The teapot has a beautiful large solid silver finial and as the handle is also solid silver, it is insulated with ivory spacer bands. 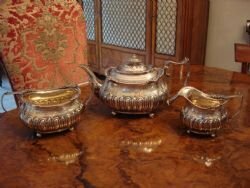 The sugar bowl and milk jug retain their original gilt interiors. (end of spout to end of handle), by 6 inches high. Jug is 5.5 inches wide by 4.25 inches high. Sugar bowl is 8.5 inches wide by 4.75 inches high. Weight-very good at 1375 grams or more than 44 troy ounces. It is a lovely and unusual period service with very good weight and stylish design, in very good condition. A lovely as well as functional service to own and use, and to keep for investment. With silver prices soaring over the last five years, it makes good sense to acquire precious metals. If you wish to view or collect this item, please email margi@serpentineinternational.com prior to travelling, to verify its location and availability. Not all inventory is available at the UK location. Circa 1900 excellent quality American sterling silver coffee service, with heavy weight, by the famous Shreve and Co. of San Francisco, California. Shreve and Co., a firm with a history as old as the city of San Francisco itself, has made silver for Kings, presidents, and many other important people and organisations. They were selected to make the state of California's gift for the coronation of Queen Elizabeth II, and have exhibited silver pieces in Goldsmiths Hall in London. 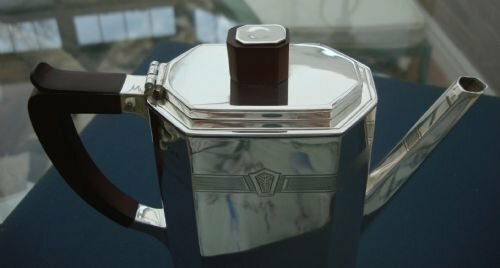 This service is a lovely 3 piece coffee service standing on pedestals comprising a coffee pot with cover, covered sugar bowl, and an open bowl. 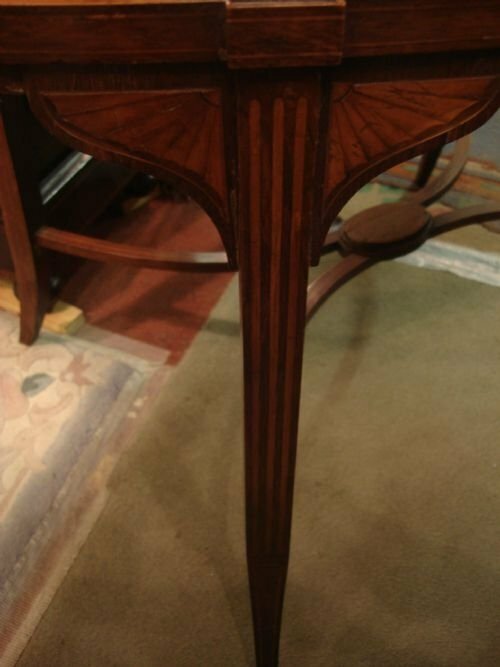 All pieces are marked Shreve and Co., San Francisco, and sterling 10604. There is an attractive monogram to one side of each piece, while the other side is vacant. This sterling quality is .925 fine, identical to the silver content of English sterling silver. 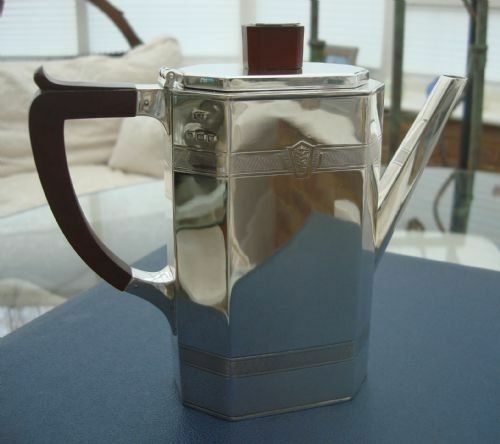 Size-The coffee pot is 10.5 inches high by 9 inches at widest point, has a 2 1/2 pint capacity mark and is fashioned in a baluster shape with a silver handle with ivory spacers, and the lid is surmounted with a cast pomegranate finial. 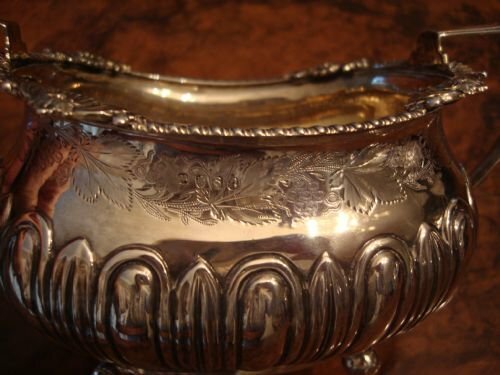 The covered bowl also has two silver handles and is 7.5 inches high by 6 inches wide (handle to handle). The lid is surmounted with a cast pomegranate finial, while the interior has an additional interior gilt lining. The open bowl is 4.5 inches high by 4 inches wide. Weight-1185 grams, or over 38 troy ounces! Considering the value of just the scrap weight of this service, this is a wonderful value, as silver prices continue to soar. 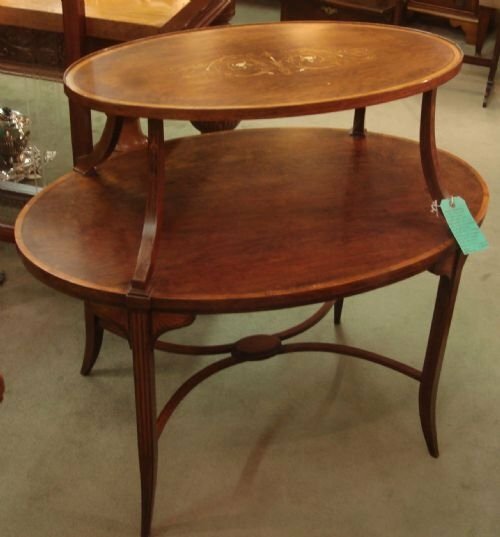 This is a lovely extremely well crafted very substantial service by famous makers in very good condition. An excellent chance to own a very stylish service at a great price. A wonderful value! 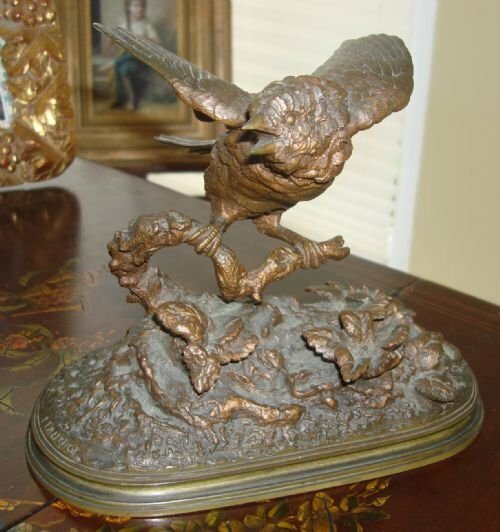 Circa 1865 rare bronze model entitled Sparrow on Branch marked F.(Ferdinand) Pautrot, well known French sculptor. 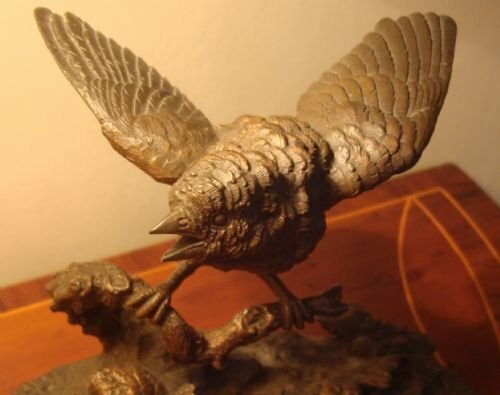 Circa 1865 sand cast bronze beautifully modelled figure of a sparrow with wings outstretched, with head turned to the side and clinging to a branch while chirping or calling. With very sharp details to the feathers, the beak, feet and tongue, and the plants and branch on the base, this is a very naturalistic and realistic portrayal. Ferdinand Pautrot 1832-1874, was born in Poitiers, France, and exhibited at the Salon in Paris. 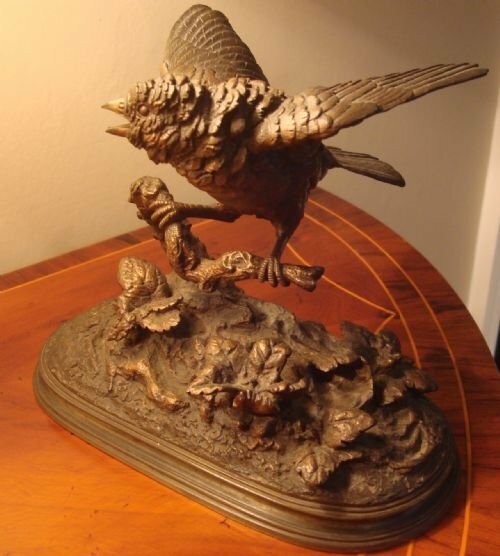 This very talented sculptor was known for his accurate and very detailed portrayals of birds, dogs and other animals. Of his fine small bird models, this one is a rare one to find. 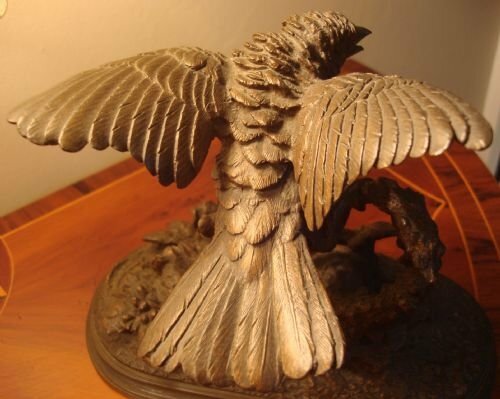 During his lifetime, he was considered by many to be the finest sculptor of birds. His favourite bird subjects were the song birds of France. He is mentioned in many of the bronze reference books such as "The Animaliers," "Les Animaliers," "Animals in Bronze," "A Concise History of Bronzes," and "Bronzes of the 19th Century." The figure retains its original rich brown patina with copper and gold tones, and the oblong naturalistic base is marked F. Pautrot. Size-7.75 inches long by 6 inches high by 5.5 inches deep. Weight-approximately 4 lbs. without shipping materials. A realistic, tactile, and superbly detailed bronze in very good condition. A lovely piece for the collector of birds or animal bronzes, as well as a wonderful decorative accent for any room. Sheffield 1908 very rare and unusual solid silver pierced presentation trowel with ivory handle by famed maker Harry Atkin. 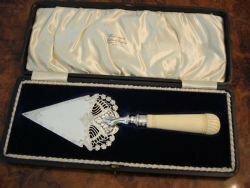 A most unusual Birmingham 1908 English hallmarked solid silver part pierced presentation trowel with lovely carved ivory handle, by renowned and collectable maker Harry Atkin. 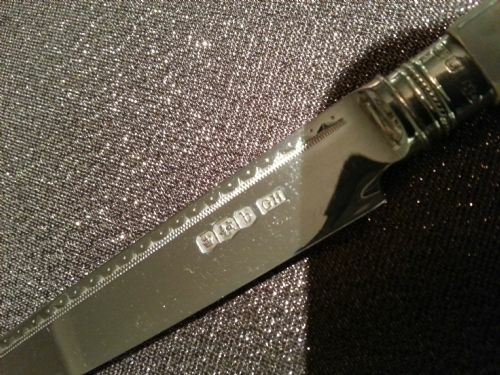 It is hallmarked on both the trowel itself and the handle ferrule. The original fitted velvet and satin lined case also bears the retail mark of The Liverpool Goldsmiths Company of 66, Bold St. It is already very difficult to find such trowels with their original cases. 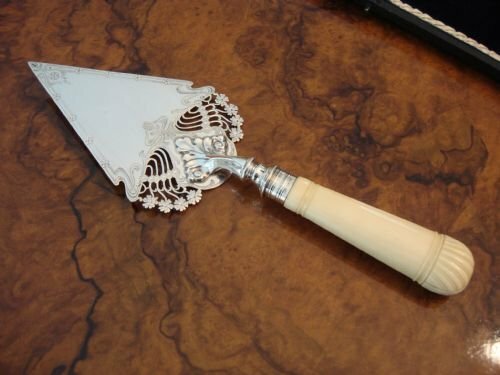 However, the design of this particular trowel, is even more rare to find in that it is pierced and engraved in a fan shape, with a delicate foliate bright cut design on the front, continuing around the border, and plain on the back. A beautiful cast acanthus leaf stands proud at the handle end of the blade and connects the design to the generous carved ivory handle, also carved in a similar fan shape at the stem. Currently not personalised, it is suitable for a personal engraving if desired. I have never seen another of this design. 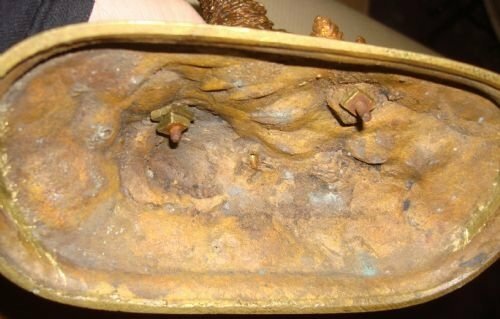 It is also the only pierced or reticulated trowel I have ever seen. Originally used in the building trade to present at the important occasion of a topping out ceremony when the building was completed. They were normally appropriately inscribed to record the event. This one has not yet been personalised, and could be if you wish. 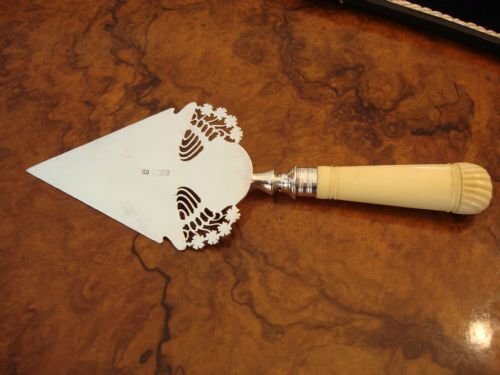 Today, such trowels are often used to serve cakes, pies and other desserts, in addition to still being used for their original use. One can no longer buy new versions of these trowels to equal antique craftsmanship and materials. Size-10.5 inches long by 3 3/8 inches wide. Weight-180 grams. With case for shipping-650 grams. A most impressive piece, and a fabulous talking point to own or to give as a treasured gift. Both trowel, ivory handle and case, are in very good condition, with just some expected fine surface scratching to the blade. 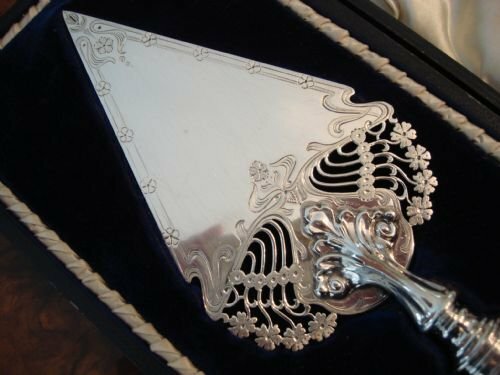 Many other solid silver trowels with historical engravings, some including cases, are also in stock, but not listed. Please enquire for details and photos of others available. This piece is located in the USA. 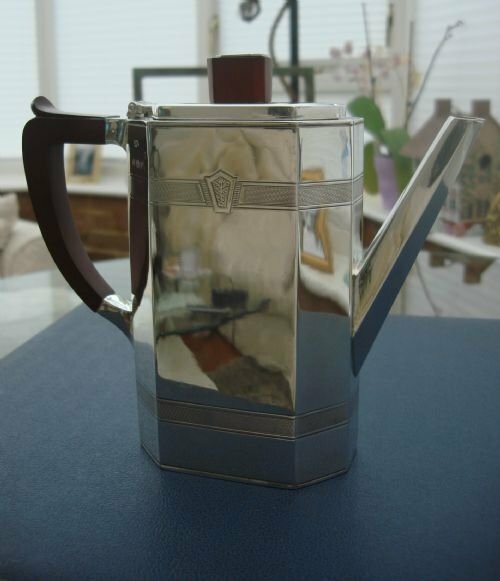 Superb solid silver iconic Art Deco coffee pot made by Birmingham Silversmiths Company. 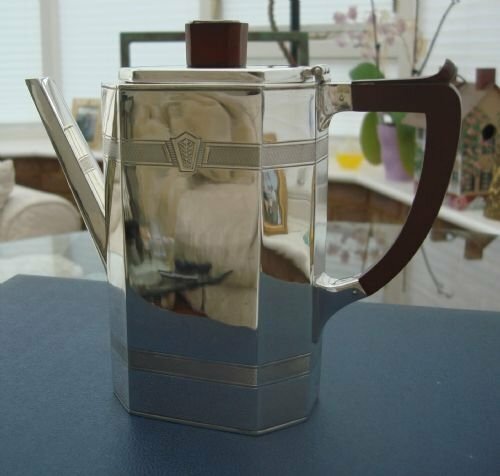 Stunning Birmingham 1946 English hallmarked solid silver Art Deco coffee pot beautifully crafted in very heavy gauged silver. With octagonally shaped body, having two engraved bands, the upper band with geometric central design, this is an unusual and beautiful piece. The spout has a hexagonal shape. 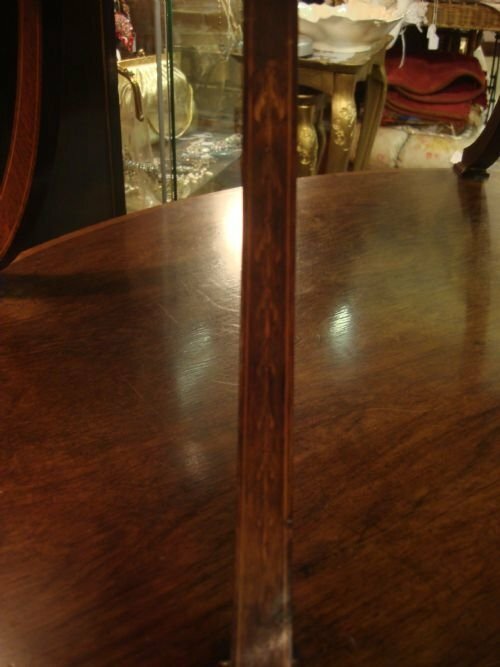 Beautifully carved wood handle and finial with silver plaque, add the perfect detail. Made by Birmingham Silversmiths Company. Weight-630 grams, or over 20 troy ounces. Size-7.5 inches wide (spout to handle widest points) by 6 5/8 inches high by 2.5 inches deep. This is a wonderful quality piece that is both extremely stylish as well as functional. It is a must to have to use or to add to a collection. Considering the value of just the scrap weight of this piece, this is a wonderful value, as silver prices continue to soar. 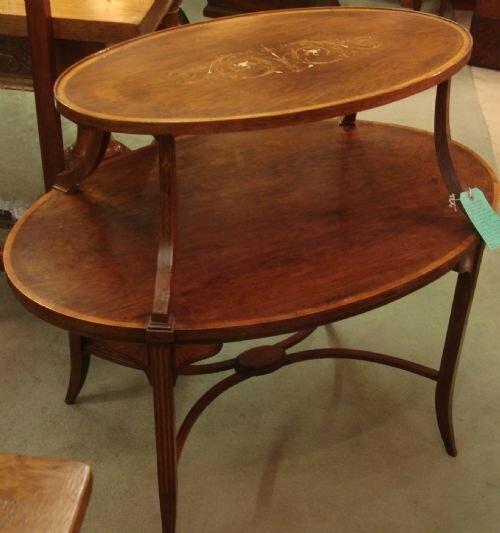 In very good condition and very heavy,this is a very prudent investment as well as a great example of Art Deco design. 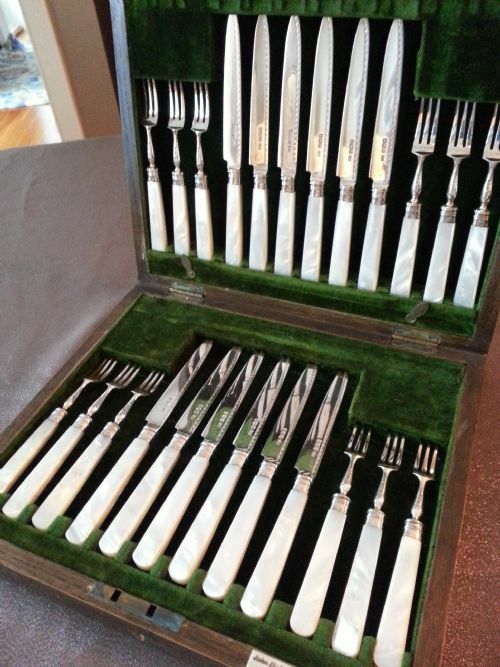 Antique solid silver and mother of pearl 24 piece dessert service for 12 people in the original fitted wood case. John Hall and Co of Manchester and Liverpool. 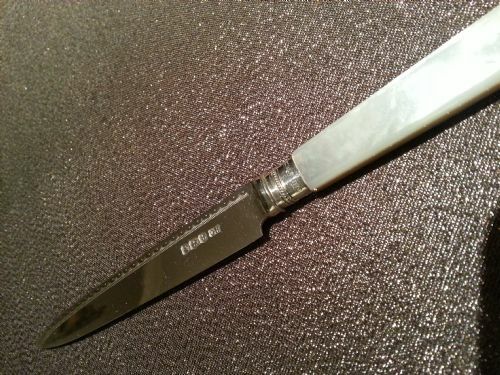 The ferules, fork tines and knife blades are fully hallmarked, and the mother of pearl handles have chamfered edges and are extremely lustrous and translucent. 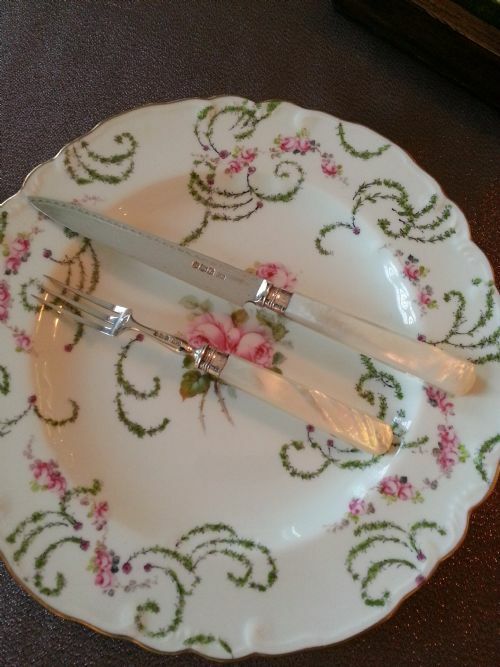 The edges of the knife blades are discreetly engraved with a simple scallop and dot design, as are the heels of the forks, and the silver ferules. The forks and knives are well balanced in the hand, and the tines and knife points are still sharp. The set is housed within the original fitted oak case, with vacant brass cartouche. The case is lined with the original green velvet. A key is not present. 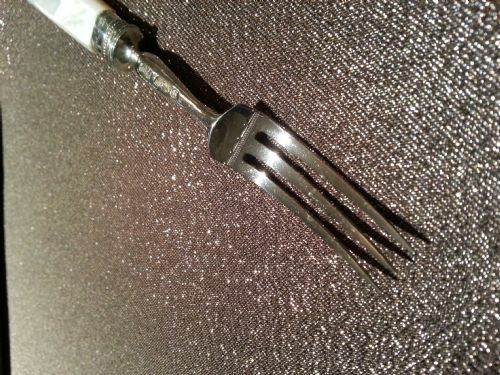 Size-forks are 6 inches long; knives are 7.5 inches long. Weight for shipping-4 lbs. 3 oz. A beautiful set to use to enjoy dessert, cheese, fruit. It will make a lovely addition to your table setting, or a most treasured gift. A highly desired silver and mother of pearl cutlery service in wonderful condition. Superb London 1830 hallmarked William IV period very unusual round solid silver vinaigrette by famous makers REILY AND STORER. Wonderful London 1830 William IV period English hallmarked solid silver vinaigrette in round form by famous London silversmiths Charles Reily and George Storer. 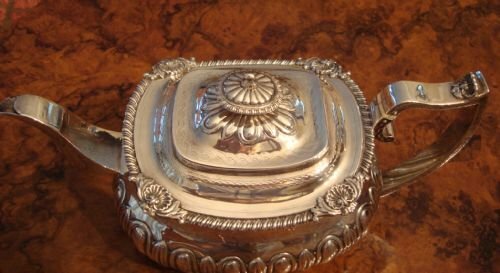 They were well known for producing very fine quality small silver boxes. A vinaigrette is a small box that would be used by both men and women, and would contain a small bit of sponge, placed under the pierced grill, which would be soaked in perfume, aromatic vinegar, or smelling salts. The purpose of this was to cope with the bad smells of the time, when sanitation and personal hygiene were not up to par. One would lift the lid and take a sniff, which would temporarily bring some relief. 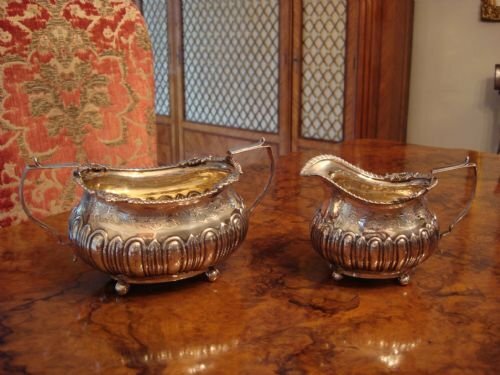 The well to do carried solid silver vinaigrettes, which would fit easily into handbags or pockets. Sometimes they were also included in large fitted complete travelling sets, with other vanity items. This 3 piece vinaigrette has an air tight fitted lid with lovely scrolled initials on the central cartouche. 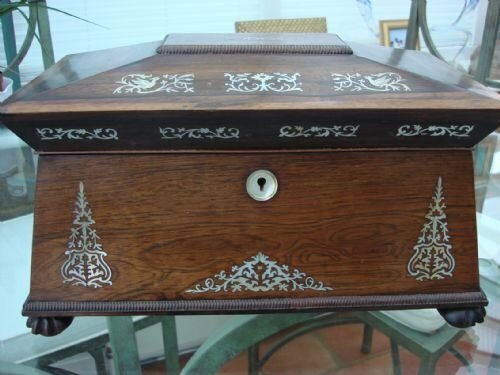 It is beautifully engraved on all sides, including the bottom. 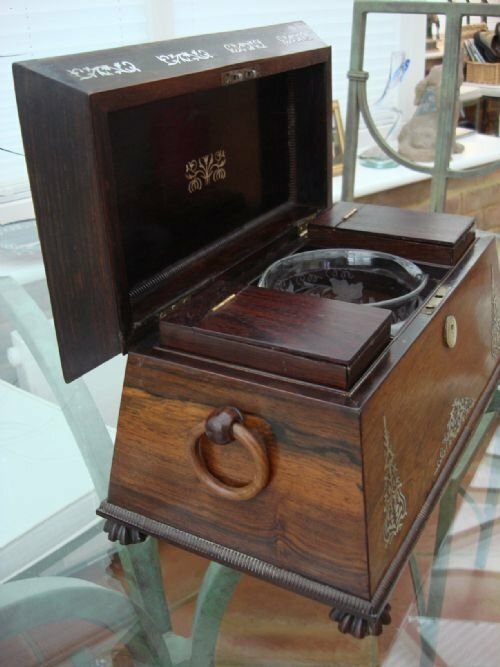 It has a lovely silver gilt interior, and a removable push fit leaf pierced grill with rope twist loop handle. The engraving is very fine. The three pieces all fit tightly and perfectly. Size-1 5/8 inches diameter by 7/8 inches high. A fine quality vinaigrette in a seldom found shape and style, beautifully made and weighty, by very good makers, in very good condition. 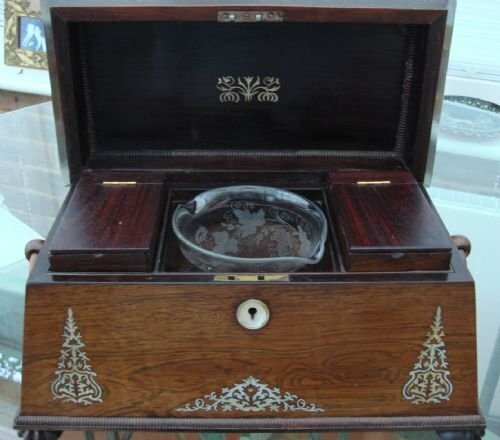 William IV period, circa 1830 wonderful large rosewood tea caddy box or chest with beautiful mother of pearl bird and foliate inlay. 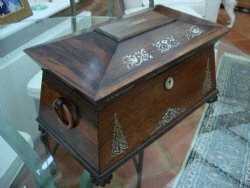 Stunning example of a William IV period tea caddy box or chest of imposing size, made in rosewood with exquisite mother of pearl inlay. The sarcophagus shape with deeply canted top edge is accented inside and out with gadrooned edges, and the top, front and interior lid have gorgeous lustrous mother of pearl inlay in a foliate scroll, tree and bird design. The escutcheon is also mother of pearl. The mother of pearl inlays shine in the beautiful natural white, pink and blue hues it is prised for. 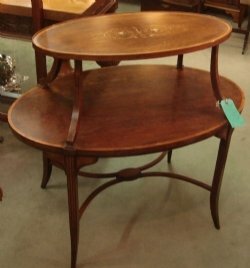 The grain, colour, and patina of the wood is lovely, and the original circular carved and turned handles are still present on the sides. The whole stands on beautifully carved feet. 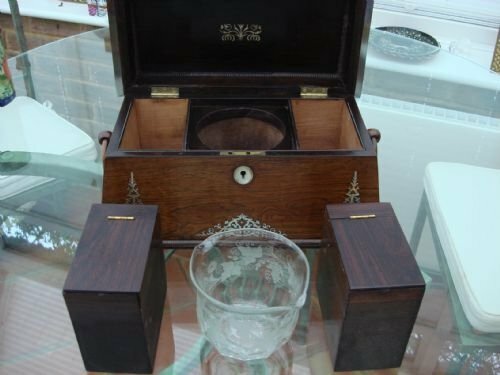 The interior contains two removable rosewood canisters with much of their original zinc lining, and a very attractive cut and etched glass mixing bowl that is of the right age and size, but is not original to the box. It has a small chip on the underside of the lip. The original velvet liner is underneath. Tea caddy boxes were used to store and mix black and green tea. Tea was an expensive commodity during this period, and was kept in a locked box to keep it away from the house staff. Size-14 inches long by 7 inches wide by 8.5 inches high. 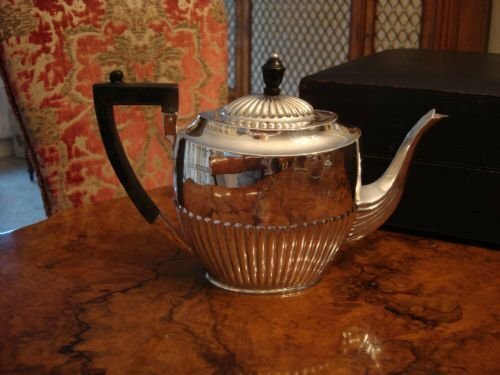 A really elegant and classic William IV piece to be used as a decorative accent, or for the collector of tea caddies or unique boxes. The original lock is present, but no key. In very good antique condition, a box of this size and such exotic materials would have been an expensive and fine quality tea caddy when made, and would have been purchased for a large home. 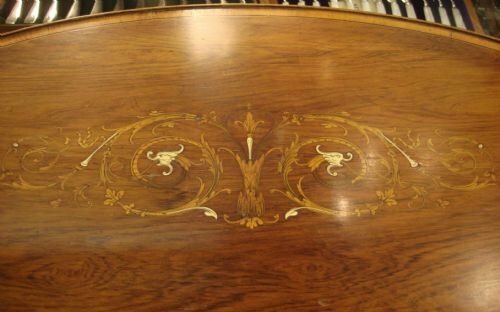 A lovely well loved antique example. This item will ship from the USA to your location. Many solid silver tea caddy spoons are available if desired. Please see listings or enquire.